In this day and age, you've got to continuously innovate in a broad spectrum of categories to keep pace with the ever evolving nature of the mobile industry. It's clearly a live fast, die hard atmosphere with yesterday's high-end smartphones passing the torch and legacy to newer devices expected to live up to the expectations of the constant changing needs of consumers. Wherever you look right now, there is no denying the vast amount of devices available at the finger tips of consumers, but it truly takes something quite compelling to get them to side with one specifically more than another. RIM built their empire by attacking the business and enterprise end of the mobile market, however, they weren't as successful in attracting everyday consumers. We've seen them go through two touchscreen offerings, with the second one seen as a vast improvement over the first, but regardless of all of its prowess, the BlackBerry Storm2 still could not firmly grasp itself as a heavy contender. 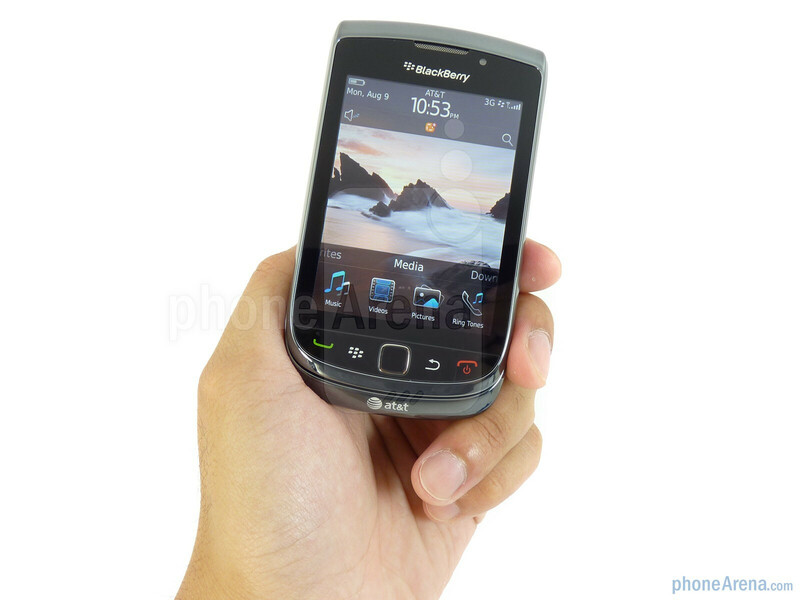 Enter the BlackBerry Torch 9800 which not only holds RIM's legacy on its back, but it's also showcasing a rebooted platform which is optimistic in grabbing the mind share of the everyday consumer – the demographic they've been unable to consistently attract. 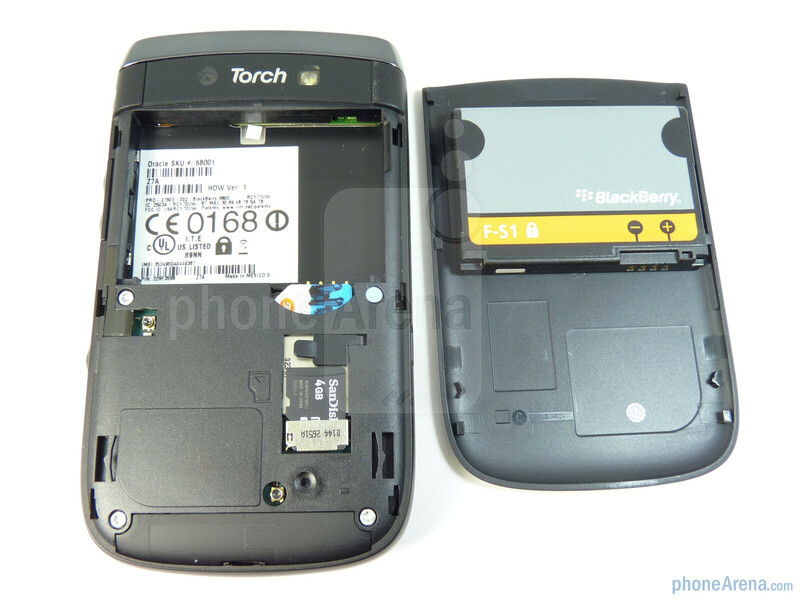 Sporting a whole new form factor we haven't seen produced ever by RIM, and with competition encroaching on their usual turf from all sides, will the BlackBerry Torch 9800 be able to keep it at bay, while being able to catapult itself as a worthy and viable competitor in this cut throat industry? Let's find out! 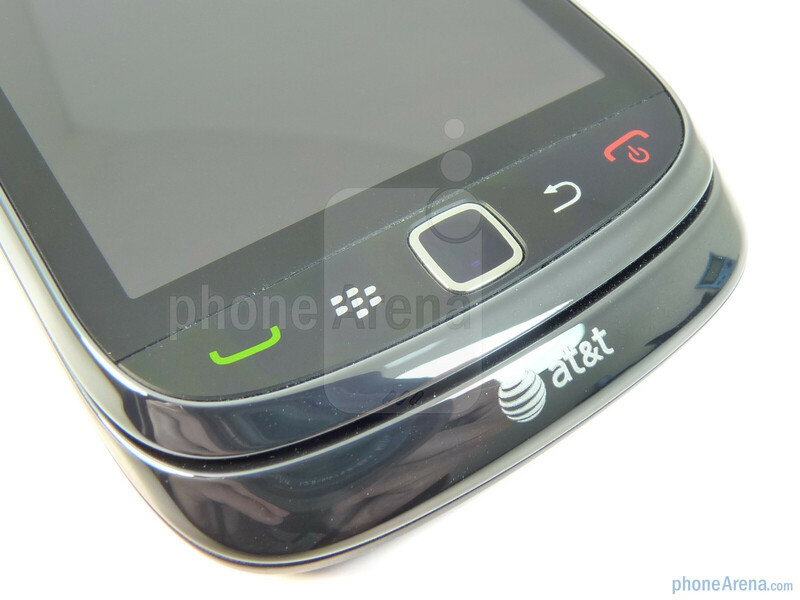 In classic RIM fashion, the BlackBerry Torch 9800 doesn't stray too far from the usual medley of solid feeling hardware crafted by them, but it's their very first one to employ a sliding portrait QWERTY form factor – something that's rare in itself across the board. 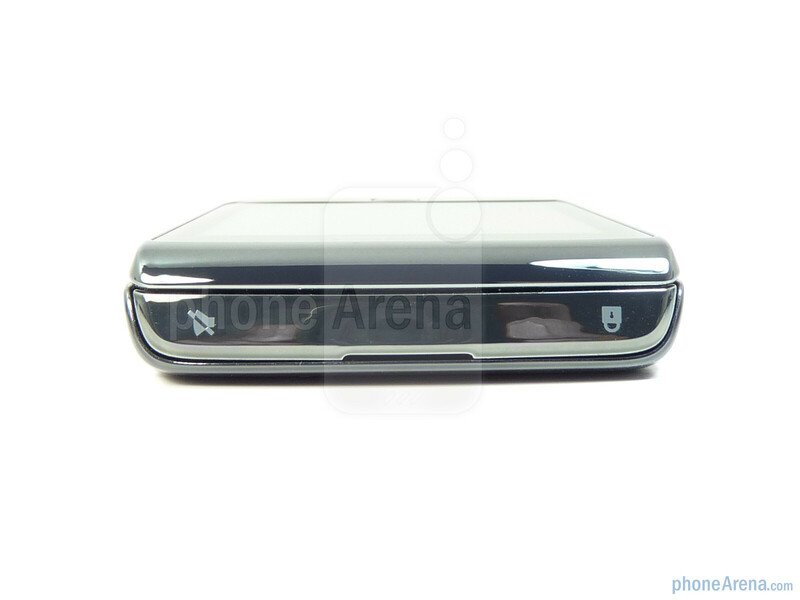 Chrome plates accent a majority of the front and sides which is then combined with a plastic rear cover that employs a patterned soft touch coating. The bottom of the handset is curved, which essentially provides for a natural grip in your hand. 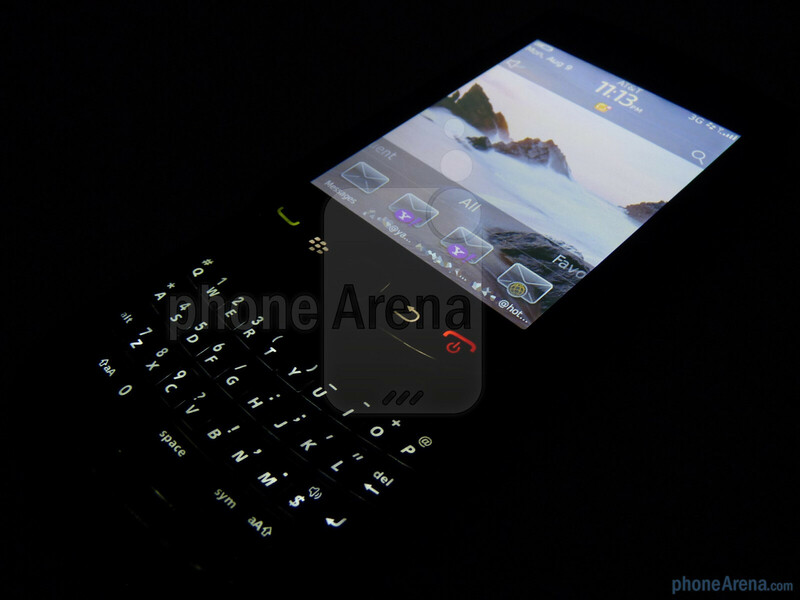 Overall, there is a discernible similarity between this one and the Bold 9700 – which is quite evident in its outline. Construction feels quite solid, which is something we usually expect out of RIM's handsets. 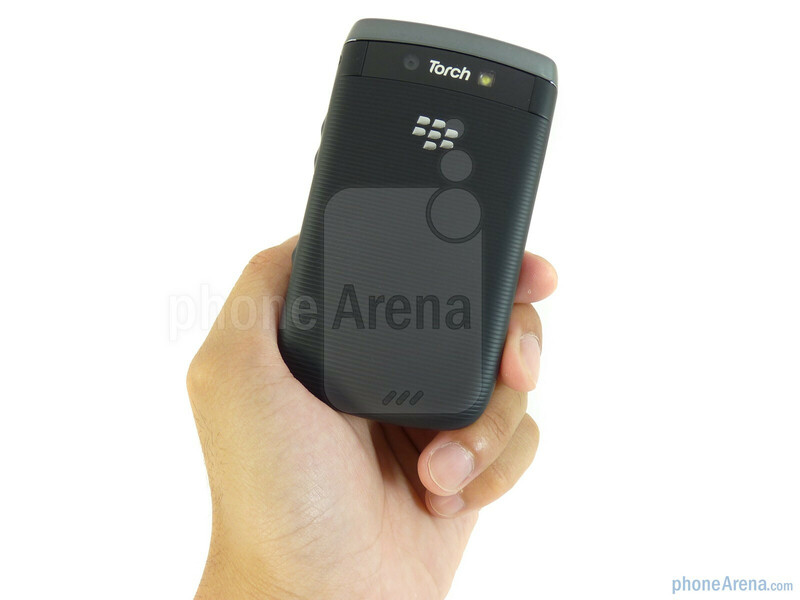 the BlackBerry Torch manages to feel relatively normal sized without crossing the point of being regarded as bulky. However, you can easily notice its weight (5.68 oz) when you hold it in your hand, which can cause some alarm in the event you drop it. Despite radiating a durable exterior, they is no arguing the kind of damage it will incur from a nasty impact – especially more when it utilizes a sliding mechanism. By no means is the Torch something revolutionary from a design aspect, but it clearly embodies some of the best design elements in use with previous devices and combines them. Moreover, traditional BlackBerry users will find it fitting, but when you compare it to some of the fantastic looking industrial designed handsets out there, it doesn't come off as something exciting to drool over. 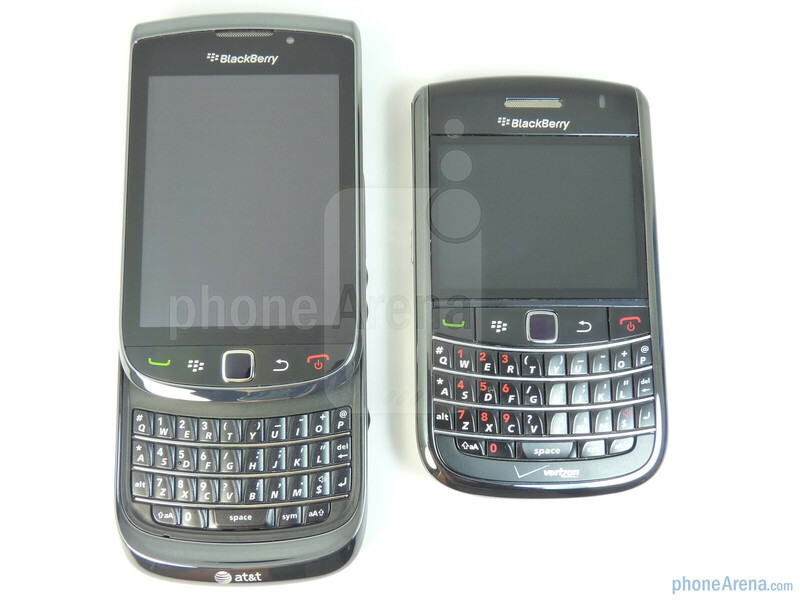 You can compare the RIM BlackBerry Torch 9800 with many other phones using our Size Visualization Tool. Unlike the the SurePress touchscreen found on their last touchscreen model, the Storm2, the Torch 9800 opts to stick with a tried and true stationary touchscreen – minus the gimmicks. Measuring up with a 3.2” HVGA+ (360 x 480 pixels) display, it really didn't radiate something too impressive versus the WVGA and up resolutions employed on some competing smartphones. With slightly less real estate than the Storm2 and retaining the same resolution, detail remains unchanged – granted though, text can be on the smaller and sometimes fuzzier side. We didn't have too much problems trying to view the device outdoors in direct sunlight since it had spot on viewing angles. Instinctively, your first inclination when using the touchscreen is to push down into it just like the Storm2, however, we quickly found ourselves adjusting and enjoyed its accuracy. At a first glance, one can mistake the buttons below the touchscreen to be touch sensitive ones since they're all flush, but In reality, they're all physical buttons that have a responsive feel to them. Placed fittingly in the middle, you'll find the usual optical trackpad that RIM has decided to stick with – something that actually works pretty well and can come in handy with this model. The left edge is completely barren except for the microUSB port, while the right side houses the 3.5mm headset jack, rubberized volume rocker, and two-level shutter button. 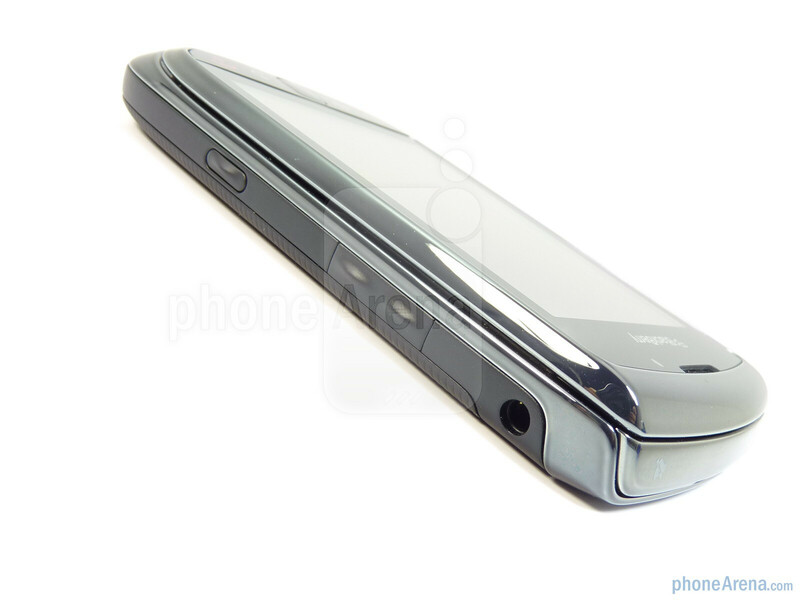 To the top, both the lock and mute keys are inconspicuously integrated into the surface with a small cutout in the middle for the speakerphone. 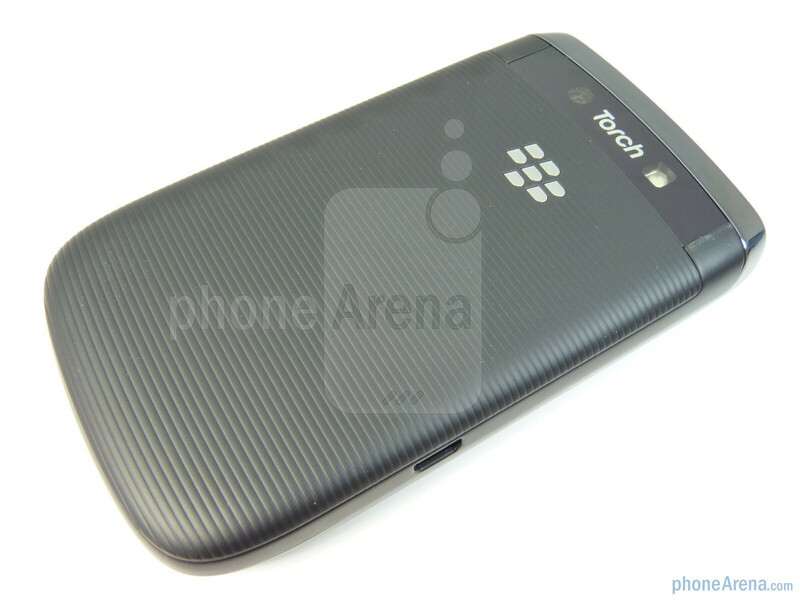 In the rear, you'll find the upgraded 5-megapixel camera with flash with the Torch name inscribed into the surface. Removing the flimsy plastic rear cover, it'll provide you access to the SIM card slot, 1300 mAh battery, and microSD card slot. 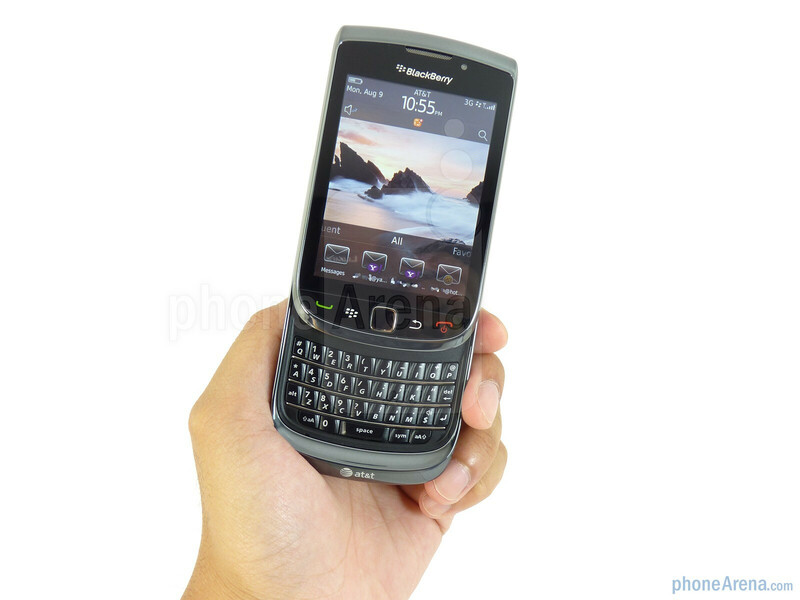 Naturally the sliding portrait style QWERTY easily brings the Palm Pre into mind, but thankfully the Torch's opening and closing mechanism feels more solid – requiring a slight nudge to open or close it. 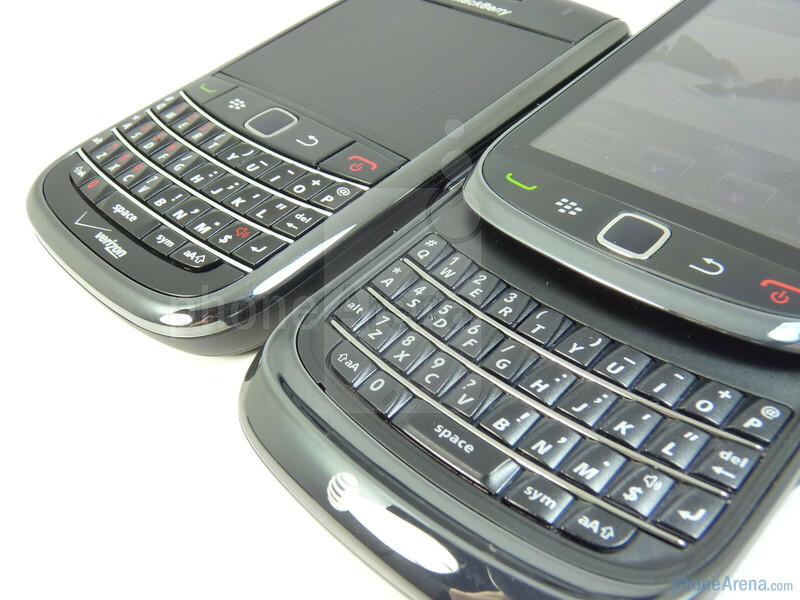 As for the QWERTY itself, it clearly resembles the one found on both the Bold 9650 and 9700, however, it's less prominent and more at level with the surrounding surface. If you're used to the Bold keyboard, you'll easily fit in with this one with its sensible feedback. Conversely, individuals with larger fingers will find it a bit cramped since there is no spacing in between buttons. 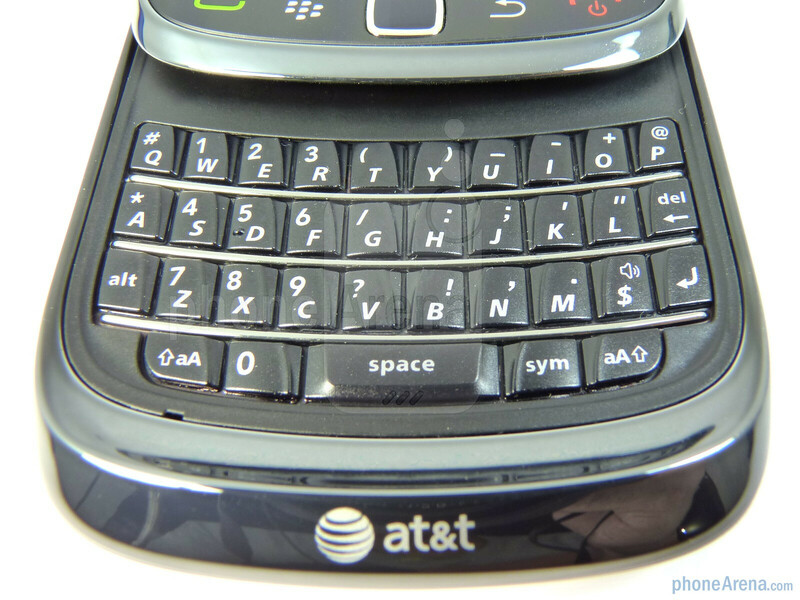 Overall, the QWERTY is quite usable on top of relying on the on-screen options especially with its visible white back-lighting. well, its a blackberry, only thing they might update slightly is BBM. How did "supreme battery life" in the review turn into "decent battery life" in the Pros? Also, I'd have thought the mediocre call quality would be a much bigger con than "outdated looking interface"?? Or does making calls not matter all of a sudden after iPhone4? Really? How does this get a 9 and the droid 2 get an 8.5? It has a better screen, keyboard, software, hardware? I feel bad for BB. i give it five years and they're irrelevant. Pull your heads out guys. cant ride the government for the reset of your wireless lives. When will RIM ever learn. But I don't feel bad for them tho, I feel bad for the people that religiously believe Blackberry is the best phone out there. It annoys me, because they constantly ask me "You have a BB, you need to get one!" Hellll NO! Not when I have my EVO which is lightyears ahead of all the garbage RIM puts out. Ye have little faith lol. Blackberry are gonna bring in the UI which is used in there new tablet. This is gonna be a really good move. Blackberry is already a perfect phone. Ok it doesn't let you control your house or see what the weather looks like in 10 different countries (oh no it does! Just not like HTC say). 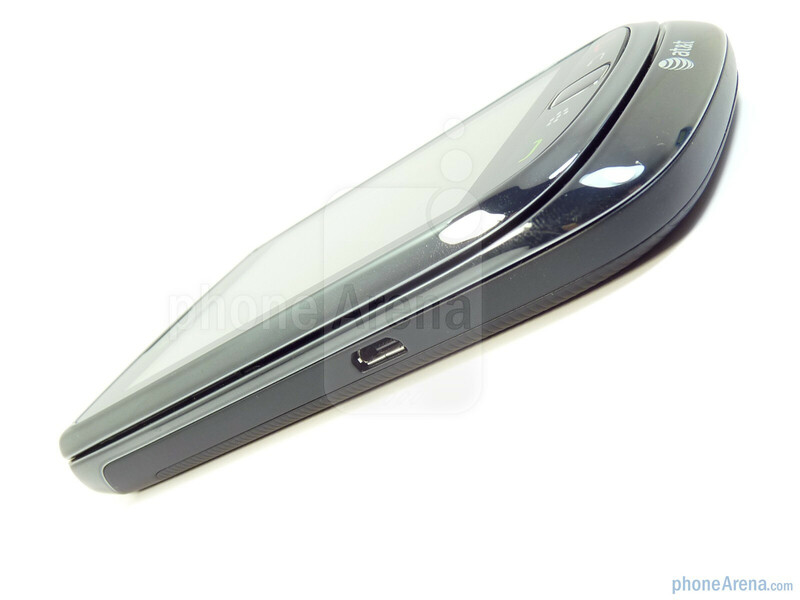 It's function is a phone and staying in contact with the people you wanna keep in contact with. Everything's just there, right in front of you. I had the bold 9000 and iPhone 4. I found that I used and enjoyed my blackberry much more. Yes it had a million problems (ie battery life, Internet, processor)but it done everything so perfect and felt like a real computer in your hands. Admittedly I did sell it and kept my iPhone but only cos the software was just to old to keep up with current times so I agree that it needed this new update and I hope the torch (os6) is what they needed. I am getting the torch as it's the phone that can keep me in contact instead of a phone you play with. I hope blackberry keeps doing things how they have been and i hope they concentrate on making the features like the Internet and all round speeds flawless. I also hope they don't listen to people who say they need to be like iPhone and android as soon everyones gonna be saying (well it's happening right now) these platforms are not that great after all. hi.. I am planning to buy torch, but still unable to decide between i4 or torch.. which one is best option to go with..
Hi guys, i bought Blackberry Torch.. totally impressd on the feautrs.. and its performance.... i had choosen ths model mainly for Internet purpose and am havng great Satisfaction...Multitasking ..jzz wow really a powerfull phone.. Battery life too good.. got lots of Apllications nd lots of stuff frm Blackberry Market.. both free and paid are available ther, anyway thankz to Blackberry ammm Happy to hav a fo lik this.